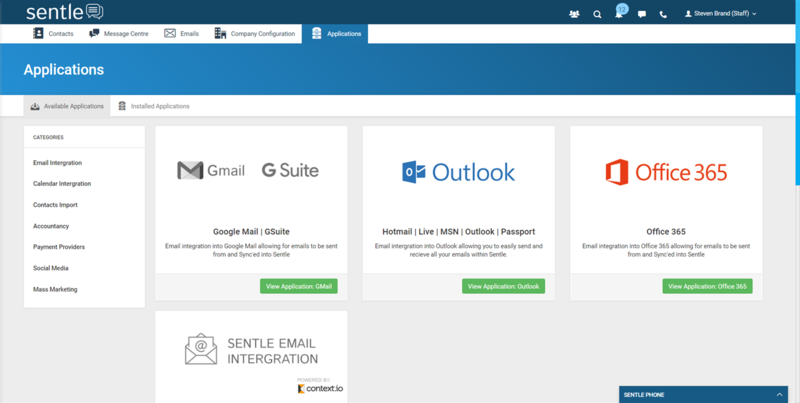 Sentle allows you to integrate directly with your Outlook account, allowing for all email to sent from Sentle, with emails to known contacts being stored against their activity history. 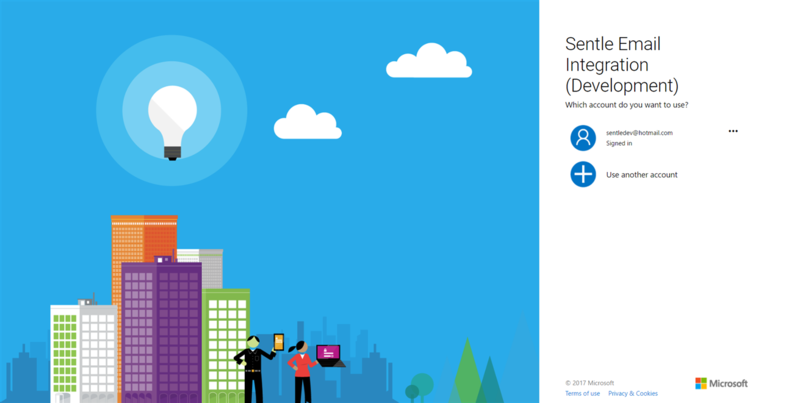 This guide will take you through the steps required to set up Outlook so you can start sending and receiving emails through Sentle. Select the ‘applications’ tab on the top menu to open the page as displayed below within which all product integrations will be located. 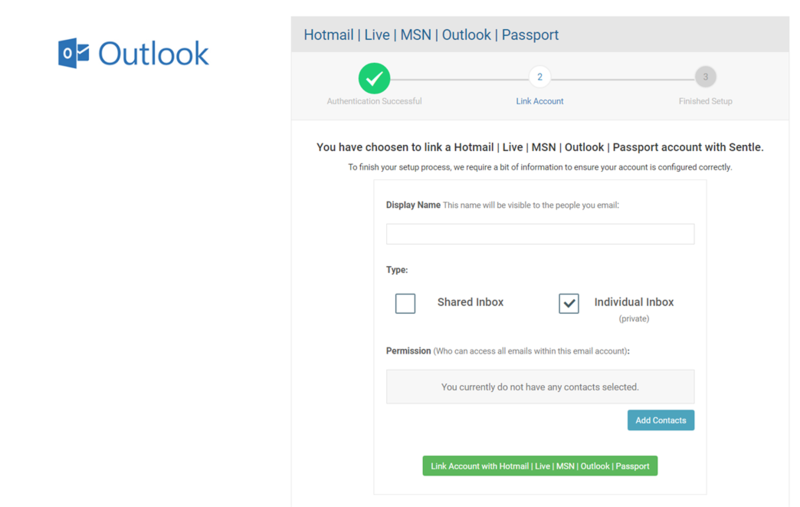 From here locate the Outlook box and select the green ‘View Application: Outlook’ button. Authenticate: After selecting the ‘view Application: Outlook’ button you will be presented with the following window where you will be asked to ‘Authenticate with Outlook’ Press this button to continue. You will be presented will the following screen into which your associated Hotmail details should be added. Once a contact (staff) has been added you are able to link the account and continue. Congratulations! You are all set up and good to start using email through Sentle. Please refer to the other email articles in this section for full details of Sentle email functionality.